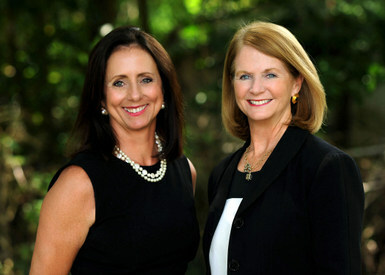 Louise Houston and Kim Brennan are thrilled to live and work in their beautiful Gulf Coast city, Mobile , Alabama. They have been working together as a Team for over 10 years. Louise and Kim have been LLB&B top agents for 2014 and 2015, as well as, top 3 producers for several years prior. They have both been in the business for over 25 years each. Louise and Kim enjoy working with buyers and sellers, first time home buyers, relocations, downsizing, moving up, condo’s, and all price ranges. They are passionate about the area, the residents and take great pride as real estate professionals in showcasing all Mobile has to offer. They have a strong connection to and are very involved in their community. Both Louise and Kim find great reward in helping others make the right buying and selling decision based on their extensive knowledge of the area. They have vast experience in helping buyers and sellers in both Mobile and Baldwin County. Louise has her ABR and GRI designation. And Kim has her CRS designation. Louise is revered as a community advocate and benefactor and respected locally. She serves on the Mobile American Cancer Society Board, was voted 2014 Realtor of the Year, 2013 Woman of the Year for the Lukemia and Lymphoma Society, and St. Paul’s Episcopal School 2015 Alumnae of the Year. She is a member of St. Pauls Episcopal Church. She also enjoys being a Grandmother, playing golf and tennis. Kim relocated to Mobile 20 years ago and has great empathy for those relocating to the Mobile area. Kim has served on the Mobile Area Association of Realtors Board of Directors, Chairman of the MAAR Community Relations Committee, St. Ignatius Church Parish Council, former member of the Junior League of Mobile, Ronald McDonald House Little Black Dress Committee, Camp Rap A Hope Volunteer, and a member of Holy Family Catholic Church. Kim also enjoys horseback riding and book club. Louise and Kim are professional, knowledgeable, optimistic and enthusiastic. Their mission is to help make your real estate dreams come true. With a team there is always someone available, to take calls, show property, answer questions, negotiate offers, and meet all your real estate needs. Let Louise and Kim help make your dreams come true.